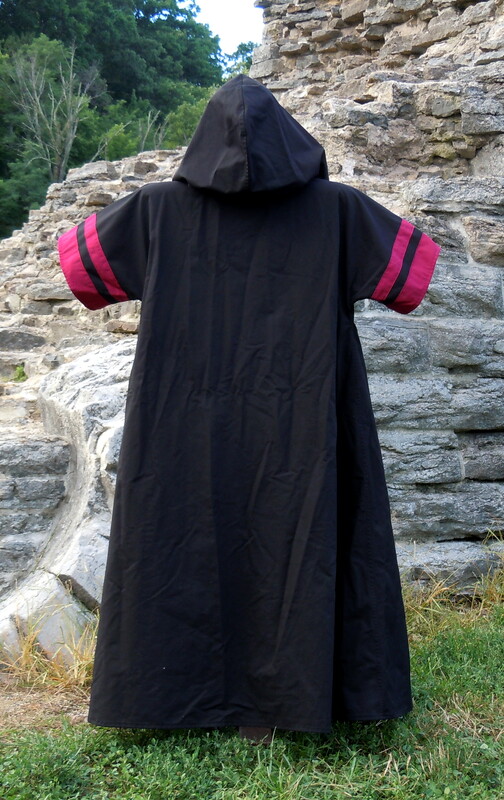 Requested by you and Inspired by a certain video game, the Old Republic/Acolyte Style is a variation of our Mystik Master Robe with shorter sleeves and a slightly smaller hood. The robe body is just as full and flowing and will stand up to years of fun. Bottom weight poly/cotton twill construction gives them great drape AND washability. The fabric has a tight weave meaning this is no thin, see-through garment. You can choose between Black or Brown. Arm bands are an option for a small extra fee. The shorter sleeves make it easier to go over the rest of the outfit. Clients report they're not as cumbersome as the longer sleeve style. 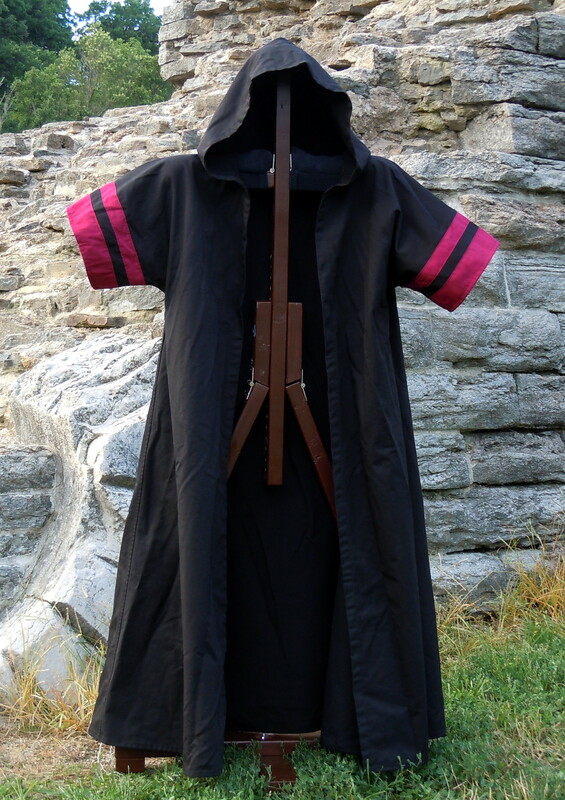 This style can certainly be used in place of the Mystik Master Robe, especially for those wanting more freedom of movement for their arms – most important in a saber battle (or scarfing down a quick chili dog)! As with the Mystik Master Robe, we can custom fit any size adult. Pictured style with and without maroon armbands. Many Sith prefer them untrimmed. A satisfied customer showing off our Acolyte robe.